The popular Gales Creek Strawberry Festival has been running for 53 years. 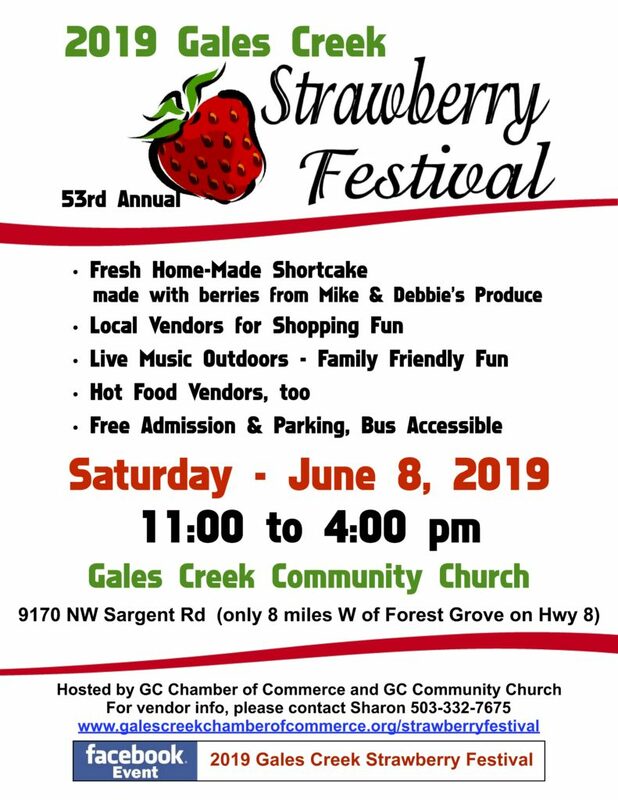 Held on the grounds of the Gales Creek School and the Gales Creek Church every June, the free event draws crowds from the local area and the greater Portland area to enjoy live music, craft and food vendors of all types, our famous strawberry shortcake, and much more! Contact us at info@galescreekchamberofcommerce.org or call 503-332-7675 for an application today, or to find out more about the festival. Please fill out the application below if you’re interested in becoming a vendor!